Our roving editor spent last Saturday morning at the Washington Green Fair, enjoying the fun and celebration of this over 50-year town tradition. This summer festival is a highlight of the summer season with a White Elephant tag sale, Yankee bakery, ladies accessories booth, plant pavilion, Jumpy House, horse wagon rides, used book emporium, and live auction. 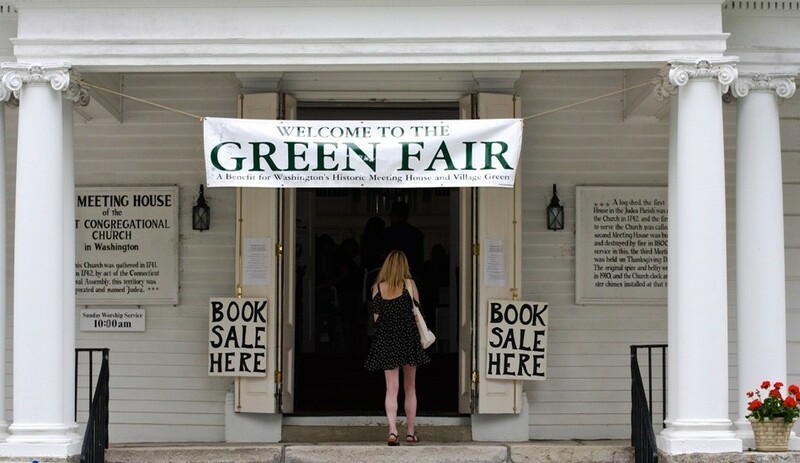 All Fair proceeds go to an important cause, as they support the maintenance of the historic Washington Green and Meetinghouse – one of the most beautiful town greens in New England. The fair takes place each year at the Washington Green Historic District, which was listed on the National Register of Historic Places in 1995. The centerpiece of the Green is the First Congregational Church Meetinghouse, circa 1801. The beautiful buildings that surround the Green date back to the late 18th century. Read more about the rich history of the Washington Green.